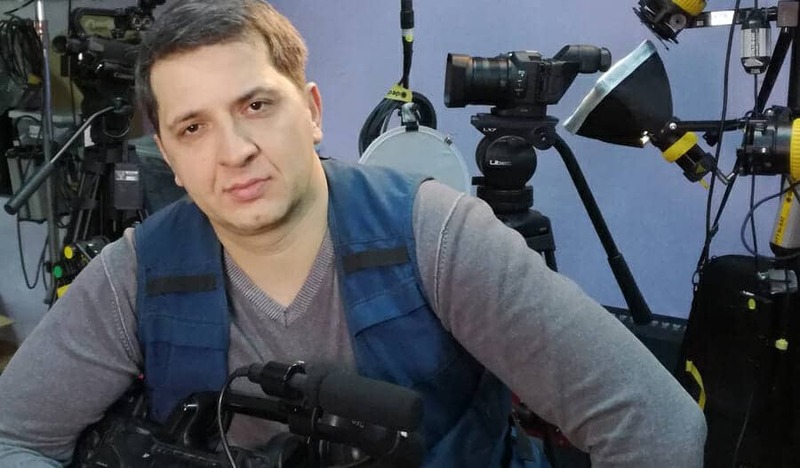 If you’re in broadcasting, video, film production or live streaming business and you need a competent, higly skilled and experienced professional who operates anywhere from Eastern Europe through Russia to the Middle East… he’s the man for you! We met Valeri some years ago at a trade show. He came by our stand to check us out. Knowledgeable, smart and sharp, he instantly recognised Streamstars’ advantages and the potential. Very quickly he became a Streamstar reseller, expert user, a huge enthusiast and best of all a good friend. Being a broadcast equipment reseller, he could choose any equipment for his productions, but Streamstar became his tool of choice. We asked him a few questions about that. Q: Valeri you have used all Streamstar products in your productions over the years, what is your experience working with Streamstar? VO: Streamstar is unique. There’s nothing like it. The software is very powerful yet easy to learn and easy to use. “Simplicity is the ultimate sophistication”… that’s the best way to describe it. It offers everything you need in a live situation. And a lot more than anything else. It’s fast and reliable. I am a huge fan. I can’t imagine going back to what I used before. …(laughs and tells a funny story, which we’ll skip :-). Q: If there is one Streamstar product you prefer, which one is it and why? VO: Personally I love the portable CASE 710. That’s a mean beast. The least amount of hardware, very practical and tough. Once I knocked it off the table, the screen cover was on so nothing happened to it. I wouldn’t do it too often though. We’ve been using the Case 710 for more than 3 years, in many different situations, indoors, outdoors, in a van, in a tent in the rain. It can get crazy sometimes, specially with live sports. The CASE 710 never let us down! Q: What do you think about the rack systems – the Streamstar X2, X4 and X7? VO: We’re using all of them. The price is a lot better and the performance is the same. You get the same great features for much less. Who wouldn’t like that? The Case is great when you are doing a lot of travelling. Otherwise there is not much difference. For studio work or a stadium the X4 and X7 are the smartest way to go. The X2 for press conferences or corporate events. It’s a no-brainer. It only depends on how many cameras you need. Q: How is Streamstar helping you in your work and what is it’s greatest strength? VO: We have done practically every kind of sport there is – World and European Football championships, Basketball, Volleyball, Weightlifting, Chess, Rugby, Auto racing, Karate, Ushu, Judo, Martial Arts, Rafting, 4×4 Off-road racing… I don’t remember anymore. Live sports is where Streamstar really shines. You can do a complete production – vision mix, audio mix, replays with slow motion, live sports graphics, PGM recording, ISO recording, streaming to multiple destinations, stream recording, PTZ camera control, …all that with only 1 Streamstar unit. And it all works like a charm! Q: . . . the greatest strength? VO: Definitely the replay system. I can do a replay of any of the 6 cameras in under half a seconds! I can choose different replay durations, I can switch cameras in replay and slow motion, I can play sequences of replays and create instant highlights of replays, … it’s amazing! There is no other replay system on this planet that can do that. All with just a few clicks. Streamstar is the most powerful live sports production system hands down. It is very encouraging for us at Streamstar to hear such nice words on our behalf. Seeing that the years of hard work that went into our products are appreciated makes it all worth it. We wish Valeri and his company the best of luck and lots of succcess. Find out how Streamstar can improve your live productions and doing it with the most affordable price tag!